HMD Global has already scheduled a Nokia phone launch event in New Delhi on April 4 but hasn’t yet revealed the name of the device. Now, HMD Global’s Vice President Ajey Mehta teased a smartphone on Twitter which is no doubt Nokia 7 Plus. This teaser hints that the Nokia 7 Plus will definitely be launching at the April 4 event. Earlier, last month HMD sent out media invites and most of the people believed that the company would launch Nokia 6 (2018) at the event. Now the teaser has made it clear that the Nokia 7 Plus is the phone that will be launching on April 4. Going by the teaser, the ZEISS-made dual-cameras, LED flash, fingerprint sensor, and copper & black color combination, it is definitely Nokia 7 Plus. As for the specifications, the Nokia 7 Plus is an upgraded version of the last year’s Nokia 7. The smartphone sports a 6-inch FHD+ display panel with 18:9 aspect ratio and which is protected by Gorilla Glass 3 on top. The smartphone is powered by Snapdragon 660 processor paired with 4GB of RAM. It runs Android 8.0 Oreo operating system out of the box. It packs 64GB storage which is expandable via microSD card slot. The device houses a 3800mAh battery. On the camera front, the Nokia 7 Plus sports ZEISS-brand dual rear cameras with a 12MP primary sensor with F1.75 aperture, 1.4µm pixel size and a 13MP secondary sensor with 1.0µm pixel size, f/2.6 aperture. It also features 2X optical zoom and dual-tone LED flash. On the front, it sports a 16MP camera with ZEISS optic lens. The smartphone also has face unlock and AI imaging features as well. Although there is no mention of the name of the phone or the April 4 launch event in the tweet, however the picture with Nokia 7 Plus hints at its possible launch in India. Alongside the Nokia 7 Plus, the company might also launch the Nokia 6 (2018) and Nokia 8 Sirocco at the April 4 event. 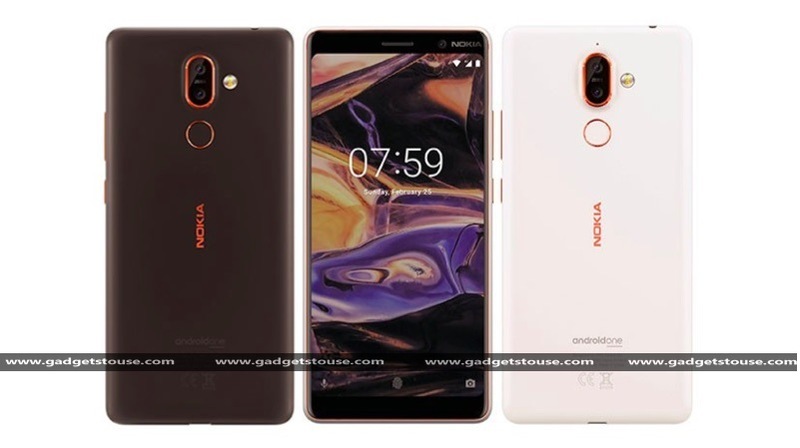 As for the pricing, the Nokia 7 Plus and the Nokia 6 (2018) are likely to be mid-range segment phones, while the Nokia 8 Sirocco is a premium flagship. So, we expect the Nokia 6 (2018) to be priced around Rs 20,000, and the Nokia 7 Plus to be priced under Rs 30,000. The Nokia 8 Sirocco to be priced somewhere around Rs 45,000 in India.